Buddha images at Wat Phiavath.jpg, originally uploaded by c_p_lew. 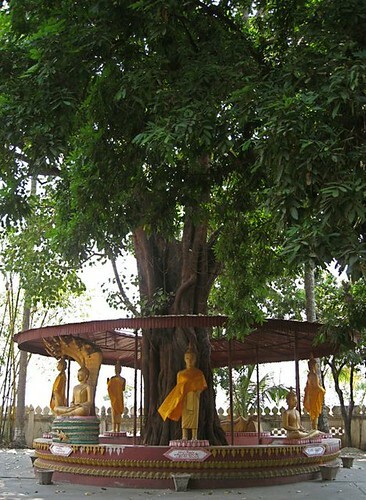 Is that a Bodhi tree? It's gorgeous.